As is the case for any funny line, there was a grain of truth in that. Fossils can be considered as natural resources, as non-renewable as oil or nickel. Could they ever run out? Could we, in fact, reach peak fossil? Thinking about this, I realized that peak fossil could refer to several different things. Most obvious is simply the total quantity of fossils in the world. Considered in that sense, there is no danger that we will ever pass peak fossil. 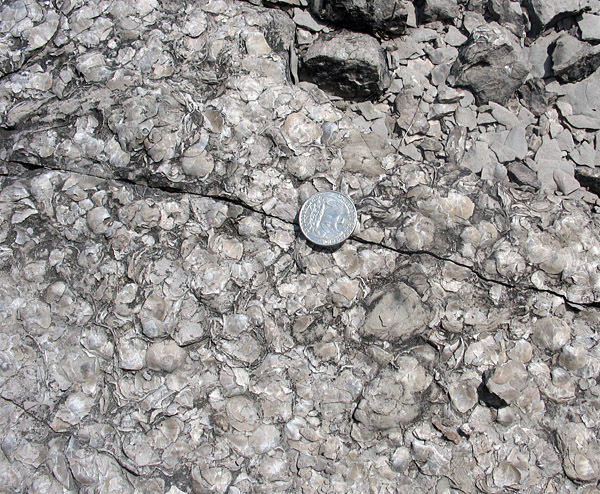 Many limestones are composed largely of fossils; smack any random piece of limestone with a hammer, and you have a good chance of breaking a fossil. 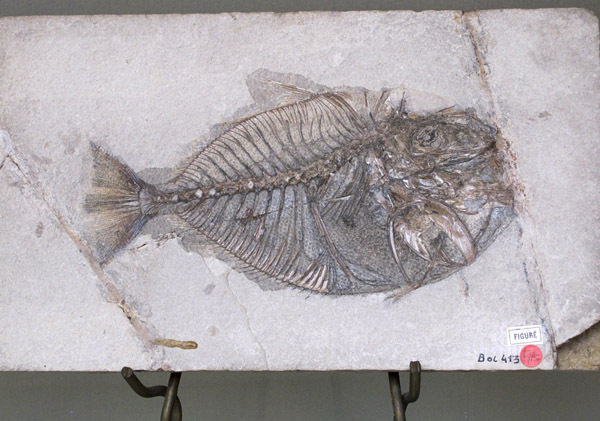 And there are so many other kinds of fossils: microfossils in deep-sea shales, trace fossils, bones of land vertebrates in sandstones … it is ludicrous to even contemplate that fossils, broadly defined, will never be tremendously plentiful. It is the other, final category of fossils that really interests me. This considers fossils as intellectual riches, as data deposits to be mined for new knowledge and ideas. The history of paleontological study could be likened to prospecting for resources. The first great fossil hunt, lasting from about the eighteenth century to the mid twentieth century, sought basic, bulk knowledge. It could be looked at as a drive to understand the diversity of fossils on the planet, which could be applied to other problems such as determining the ages of sedimentary rocks. 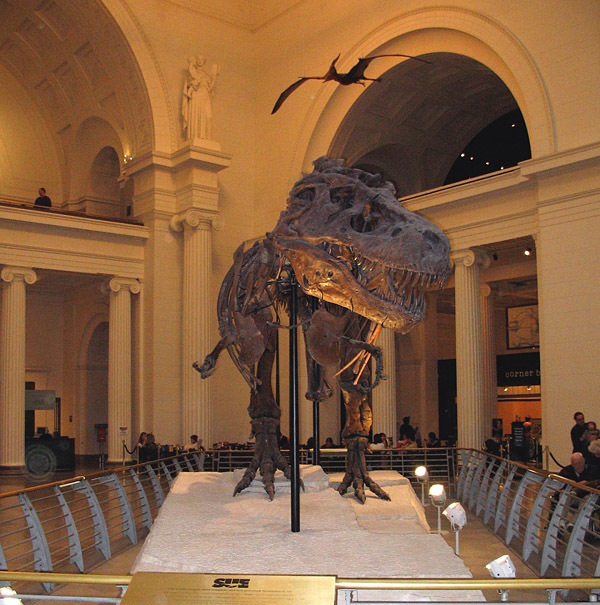 This was augmented, beginning in the late nineteenth century, by the “dinosaur rush,” which sought big or spectacular fossils suitable for museum exhibit as well as scientific study. In more recent decades, more and more energy has been expended on more and more obscure fossils. The frontiers of paleontological knowledge lie largely near the margins: we are seeking fossils of creatures that do not fossilize under normal conditions, and we are searching for the earliest life forms, the oldest examples of known groups, and the fossils of embryos, cells, or chemicals. But how much farther can the margins be pushed? Will there be a point beyond which our discoveries will, inevitably diminish? Will we, like the oil companies, expend more and more energy chasing smaller and smaller gains? I suspect that this could well be the case. The resources committed to the search over the past few decades have allowed us to find some wonderful deposits which have provided considerable new knowledge, but we have not really found another Burgess Shale or another Monte Bolca. I hope that we have not already passed peak fossil; I look forward to reading about the discoveries that prove me wrong. Wonderful and a great article to read! Thanks Graham for your interesting perspectives! Another interesting essay. 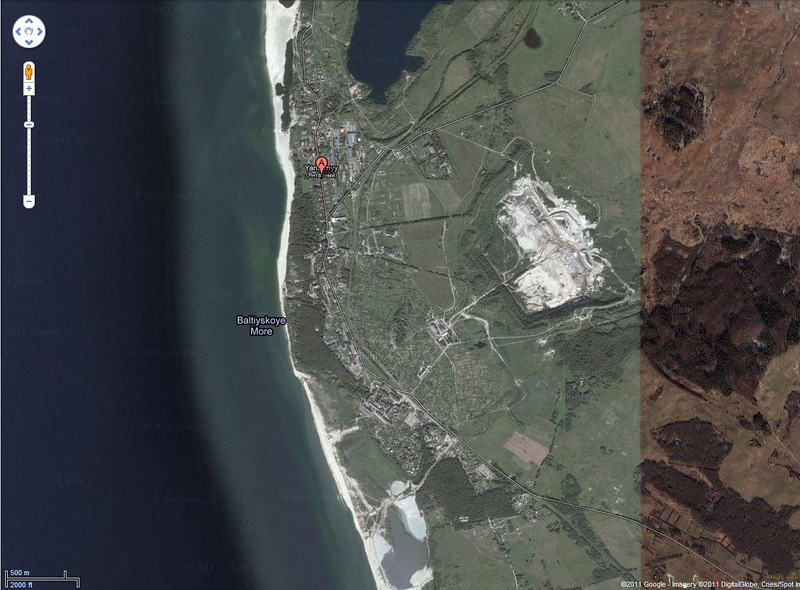 For palaeobotany, we have our ‘limestones’ too; coal. The palaeobotanical value of coal poses dilemmas for palaeobotanists. Digging more big holes in the ground to meet society’s energy needs for a fuel with large greenhouse gas emissions, and significant environmental impacts from mining alone, poses a moral issue as these same mines expose 10s-100s of metres of vertical and horizontal exposure of fossil plants, affording opportunities to reconstruct whole forest ecosystems – significant advances in our understanding of Carboniferous forests (the ‘first forests’) were from coal mines in the US and Canadian coal-belts. There is enough coal in the ground to meet the world’s energy needs – no ‘peak coal’ on the horizon – and to meet palaeobotanists research questions for generations to come, but at what cost? In all likelihood, coal will be phased out, removing access for palaeobotany. Thank you for your comments, everyone! It is nice to get some discussion going – those of us who work with fossils all have such personal perspectives, that’s what makes working on this page so much fun. Suvrat, thanks for your thoughts on a variety of settings. David, like you I have a dependence on commercial extraction – in this flat terrain, we depend on limestone quarries for many of the exposures we need. Manitoba had a ‘coal rush’ back in the 1920s-1930s, near Deloraine on the flanks of Turtle Mountain. One of the few places in the Province that isn’t flat! As Graham can attest, the Manitoba Museum has a small display telling this story. I had a student complete a thesis this year on the fossil spores and pollen (micro-palaeobotany, better known as palynology) from these coals. Manitoba’s only record of leaf fossils is from this area (on display in the Manitoba Museum – happy to give you a plug, Graham). Sadly, uncollectable now as the leaf site (as revealed by recent reconnaisance by myself, the student and a colleague from the Manitoba Geological Survey) appears to have been excavataed for road-making material to repair local section roads! So I guess Manitobas leaf fossil supply is exhausted. … until another pit intersects the right layers. Here’s hoping! Thanks, David! I think you are going to reach the point where you start your own blog to put up some of this interesting information (not to mention all the fabulous photos).